*Atlantic Beach Casino Resort* is set along dunes with miles of beach in both directions and a splendid view of the coastal islands. 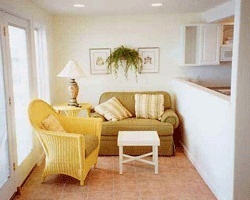 Enjoy the day on the private beach, take a swim in the heated saltwater pool, or relax in the hot tub. Then, retire to your suite and take advantage of the full kitchen, fireplace, whirlpool bath, and oceanfront deck off the living room. 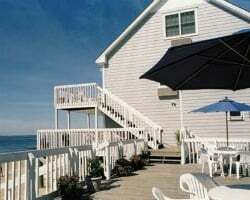 The resort is located approximately 15 minutes by car from Foxwoods and Mohegan Sun, and the Mystic Seaport and Aquarium. Children's attractions include an amusement park, water slides, and miniature golf situated next door to the resort. Great resort with its own private beach! Week 41! Buyer may receive a title fee credit, inquire for details! Resort features a private beach! Suite has an oceanfront view! Buyer may receive a title fee credit, inquire for details!